I arrived in Malawi eager to begin work on a project that I had spent almost two years conceptualizing and fine-tuning. During my first meeting with the clinic supervisors I planned to work with, I was informed that a new organization had taken over, and they wouldn’t discuss hosting a research project for at least six months, a timeline that wasn’t feasible on my nine-month grant. 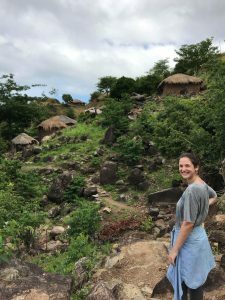 While also settling into daily life in Malawi, I needed to find a new project, a daunting task in a country that still felt very foreign to me. I began to schedule meetings with anyone semi-related to my project, and, after almost a month of networking, I found a research group willing to “adopt” me. Though disappointing at first, this early delay gave me the time to work extensively on my Chichewa, to travel to other areas of the country, and to more fully immerse myself in the local culture, all experiences that now inform my research. This forced flexibility felt frustrating and intimidating at the time but now is one of the parts of my grant experience for which I am most grateful.